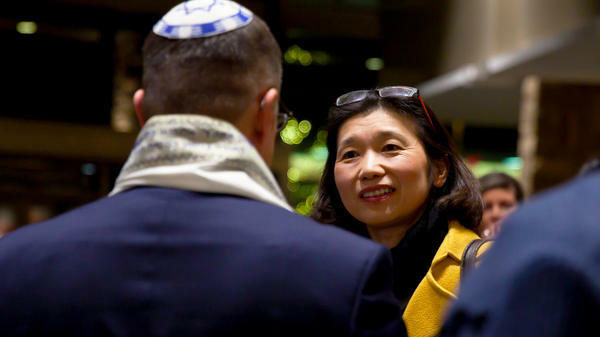 Gateway Jewish Ministry exists to proclaim God’s love to the Jewish community and connect Christians to Israel and the Jewish roots of the Christian faith. We believe one of the primary reasons God has blessed Gateway is because of our obedience to take the gospel to the Jew first. We support Israel in practical ways through training strategic leaders, helping the impoverished, and caring for the people of the region—Jews and Arabs alike. We’re also building relationships with Jewish believers in Israel and around the world and training them to be effective witnesses of the Messiah. The gospel came to the Jews first and then from the Jews to the nations. By loving the Jewish people and embracing the Hebrew roots of the Christian faith, we’re bringing the gospel back to the people through whom it originally came. To support this value, Gateway’s first service each month is the Friday night Shabbat Service. This service is an outreach to the Jewish community in our area. We also support our vision through the celebration of various Jewish festivals, ministry trips and tours to Israel, prayer for Israel, teaching resources, and classes.